STENHØJ GROUP continues to grow in the Nordic Region. The first step was taken with the establishment of STENHØJ SWEDEN in August 2017. STENHØJ GROUP has acquired Tecalemit’s three sales and service businesses in Finland, Estonia and Lithuania. Tecalemit is a market leader in the sale and service of equipment for the automotive aftermarket in these countries. The acquisitions are based on the STENHØJ GROUP’s wish to strengthen its position in the Nordic Region and in the Baltics, and thus support the strategic development of the STENHØJ GROUP. The acquisitions also contribute to the Group’s growth target. “With these acquisitions STENHØJ GROUP adds about 13.5 million EURO to current turnover,” says Group CEO Søren Dyøe Madsen. “Together with STENHØJ GROUP we will strengthen our presence in Finland, Estonia and Lithuania, and thus take a much larger share of the market than we have today,” says Ilkka Eriksson, CEO of Tecalemit in Finland. STENHØJ products are well-known in Finland, Estonia and Lithuania, and we have built up a massive presence on the market over many years. Together STENHØJ and Tecalemit have 180 years of history. “The STENHØJ name resonates in the Nordic and Baltic markets and gives us a strong foundation and a solid basis in relation to supporting the entire group’s value chain. We will strengthen the position in the market with a wide product portfolio of own products and products from existing suppliers and offering our partners even more advantages/resources for the future,” says Group CEO Søren Dyøe Madsen. “We have had Tecalemit as a dealer of our products for more than 60 years, so our relationship was already strong and positive, and this will be a strength in the coming collaboration,” he adds. It is no coincidence that STENHØJ GROUP has taken this step now. One of the reasons being that in these countries there is an ageing car fleet, and together with the economic growth, it is expected that the sale of vehicles will increase in the coming years. “Unlike a number of our competitors, the STENHØJ GROUP is in a strong position, which makes it favorable for us in relation to strategic acquisitions,” says Group CEO Søren Dyøe Madsen. This is clearly reflected by STENHØJ GROUP’s activities in 2017, where STENHØJ SWEDEN was established along with subsidiaries in Hong Kong and China. The Swedish company is responsible for the previous activities of Opus Emission in Sweden and abroad. Another subsidiary, STENHØJ AUSTRALIA, was established to support the Group’s activities in Australia and coming activities in Asia. And Australia’s equivalent to STENHØJ – the MOLNAR brand, was also acquired. 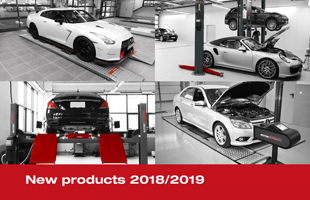 2016 was also a busy year for the STENHØJ GROUP, when the new brand AUTOPSTENHOJ was launched, which has enjoyed massive success all over the world. The STENHØJ GROUP has also been busy in Denmark. The Danish sales and services company STENHØJ DK has developed strongly in the last two years, and the latest initiative has been the acquisition of the service company JG Service in Northern Jutland. “I’m pleased that we have succeeded in reaching an agreement, and with this acquisition we support the overall strategy of the STENHØJ GROUP. Moreover, it is particularly important for STENHØJ DK that we are strong local partners, and with this initiative we cement our market position and development in Denmark,” says Group CEO Søren Dyøe Madsen. The STENHØJ GROUP celebrated its 100th anniversary in 2017. For 100 years the company has supplied high-quality, innovative solutions to the automobile industry in Denmark and in many other countries. STENHØJ GROUP is a Danish family owned company, located in Barrit in Jutland, Denmark. STENHØJ was founded in 1917 and has developed into a leading supplier of products and services, especially for the automotive aftermarket. STENHØJ GROUP currently consists of 16 subsidiaries in 11 countries, employs 660 people and exports to more than 60 countries worldwide. Most of STENHØJ’s turnover is currently generated in the automobile sector, but the company develops and continues to sell a number of products to other industries, including compressors, industrial components/parts for washing machines, and especially presses and broaching machines for major production plants – of which some are sold to automobile manufacturers.